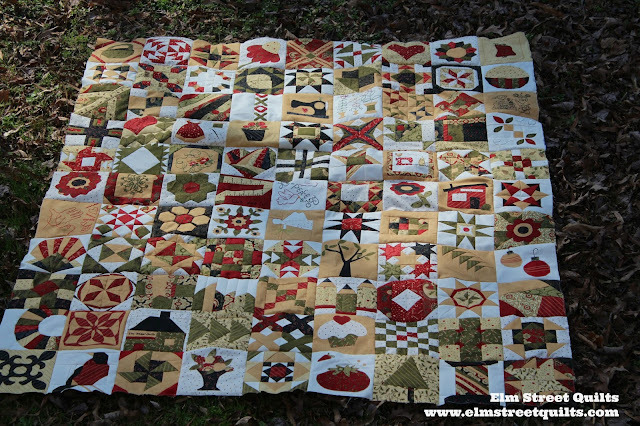 My goal for November is to prepare backing and baste my Splendid Sampler quilt. The quilt top was finished back in February and the holiday themed fabrics call for a finish! I've decided to go without a border although I might change my mind and border in the cream/white fabric. Not sure of my FMQ design but I may do some custom work on each block - take my time and have fun. Bonus points if I get any of the quilting done this month - at best I hope to have some stabilizing lines (in the ditch) to better secure the quilt before I tackle the quilting..
We have three great sponsors for November and there will be three (3) winners this month! One of our ultimate goals is to be a driving force in the modern quilt movement. We want you to feel like we're already friends, the kind of friends who totally understand your fabric addiction, who will assist with your quilting problems and who will help you grow as a quilter. We hope you'll love us even though we're all a little bit crazy. Make Modern is offering a 6 month subscription to one lucky participant. I'm excited to introduce you to Alyce Blyth from Blossom Heart Quilts, this month's featured designer. 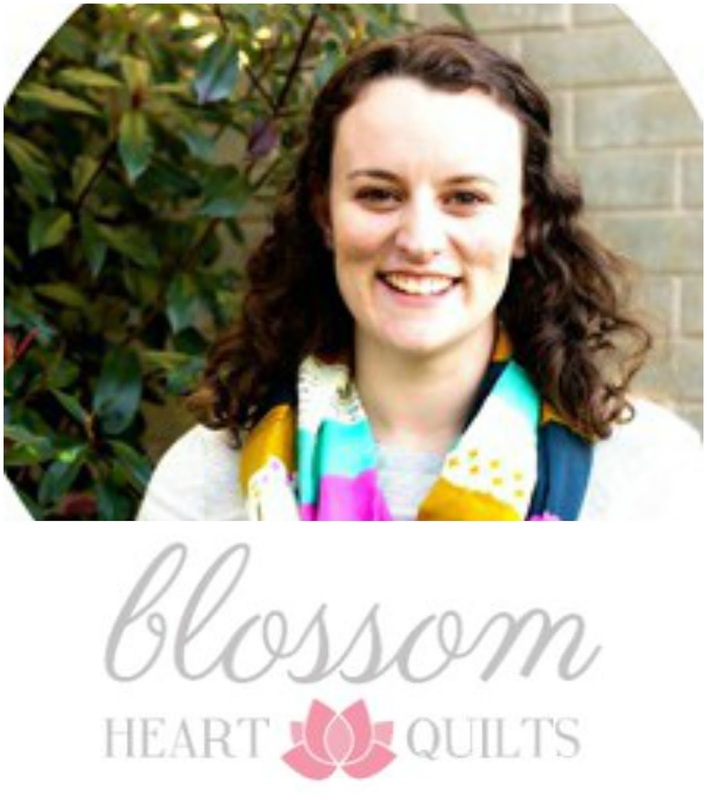 Alyce began quilting in 2011 and started Blossom Heart Quilts in 2012. She loves the challenge of designing quilts, expecially the opportunity to mix geometry with color and fabric. She has published a number of patterns, including Geode which she is currently running as a QAL. 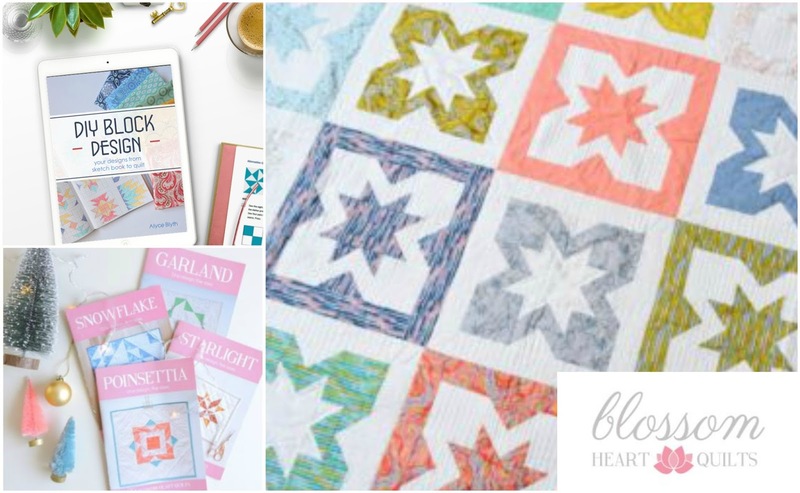 If you are a regular reader of Make Modern magazine, you are likely already of fan of her regular columns where she shares tips and tricks on popular quilt blocks. Make sure you check out Alyce's ebook on DIY block design where she shares the information, math and tutorials a quilt needs to design and make their very own quilt blocks. You can visit Alyce in on her blog, Instagram, Facebook and her Pattern Store. Alyce is offering one lucky participant a set of the Making Merry patterns just in time for the holidays. Elm Street Quilts One Monthly Goal November Linkup. Your Splendid Sampler top is gorgeous! That should be fun to FMQ special designs in each block! Your Sampler is gorgeous. Your fabric choices make it pop! I love the colors you used for your Splendid Sampler--very nice! Have fun with the quilting--it sounds like you have a good plan. I would probably do an all over pattern just to get it done--lol! That time already? Your sampler is splendid indeed! Your sampler is amazing! Looking forward to seeing it progress. Wonderful sampler! Great job sticking to it! Good luck accomplishing your goal! 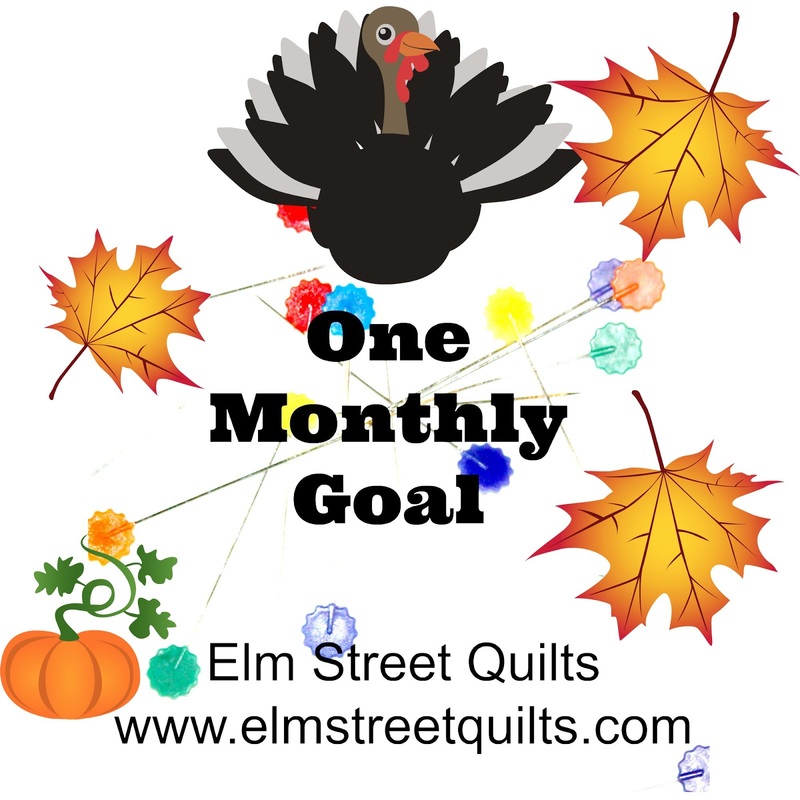 My OMG for November is to get through the month with no sewing machine! Lol! Nice goal. Hopefully it will get done earlier rather than later! Those blocks are great. I sure hope you get your quilting started. It would be a great quilt to use in December! I love your splendid sampler and the colours you chose, certainly lovely for Christmas and holidays. It has inspired me to make November a month to get some more of my Splendid Sampler blocks completed. Love your Splendid Sample, so pretty. Your Splendid Sampler is gorgeous. I love the colors you used. Good luck on your November goal. Gorgeous quilt, what a lot of detail. Wonderful sponsors, thank you.